Here comes cream free, dairy free yummy ridge gourd and fenugreek leaves soup. Tender ridge gourd and fresh fenugreek leaves are cooked with onion, chillies and garlic. 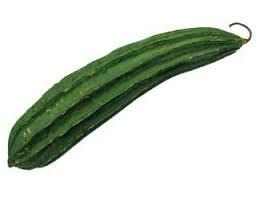 Ridge gourd is low in fat, high in fiber and has blood purifying properties. It contains insulin and control blood and sugar levels. It is best for weight loss as it has fewer calories. This contains insulin like Peptides and Alkaloids within the vegetable that helps to reduce the sugar levels in both the blood and urine. It gives cooling effect on the body. Fenugreek is used for digestive problems such as loss of appetite, upset stomach, constipation, and inflammation of the stomach (gastritis). It is also used for conditions that affect heart health such as “hardening of the arteries” (atherosclerosis) and for high blood levels of certain fats including cholesterol and triglycerides. So this soup has excellent health benefits, enjoy this with a toast. Bring water to boil in a sauce pan and cook ridge gourd for 5-7minutes on a medium flame. Add chopped fenugreek leaves, onions, green chillies and cook for another 2-3minutes along with ridge gourd. Once cooked allow it to cool, blend in a mixer/food processor along with crushed garlic to a smooth puree. Transfer this ground puree to a non-stick pan, add salt, coconut milk and bring it to boil. Garnish with coconut milk and serve hot with breads. 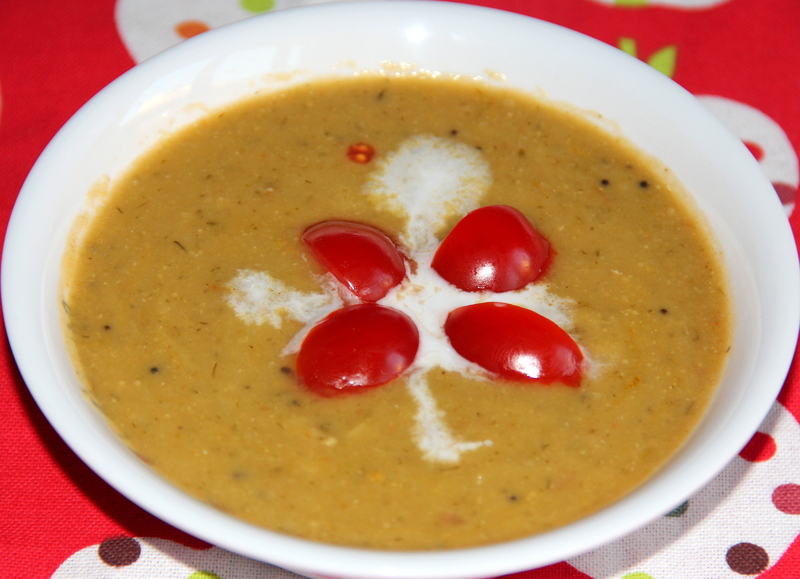 This soup can also be converted to delicious sambar/stew by adding cooked dal and tempering it. Posted on August 12, 2014, in Indian, International, Side dish, Soups, Salad and Wraps and tagged Chitras healthy kitchen, drchdietfood, Healthy soup recipes, Low calorie soup recipes, Ridge gourd soup. Bookmark the permalink. 33 Comments. Thanx Andy for your visit and feedback. …..
Looks yummy! Nice healthy soup. I haven’t seen ridge gourd before, and I doubt it is available in. Japan… What is the closest approximation? Is this kind of like a cucumber in texture and taste, or more like a zucchini? Or neither? These look like Cucumber and Zucchini as you rightly said..But it’s body protected with sharp edges all over…However health benefits from this veggie is different from others though…I believe it should be available in Indian grocery stores..
Chitra,cream free,yet looks really creamy! !Soo good n healthy!! I have never hear of the Ridge Gourd or fengreek leaves. I have serious digestive problems and my husband has heart problems and diabetes. We have an organic vegetable garden. I wonder if we could grow these vegetables here in Sweden or in our green house. I try hard to cook foods that cater to our health needs. Thank you for visiting my site and liking my post. I will be following you. I appreciate you helpful tips and recipes. This looks really interesting. Love it. This looks hearty and delicious!